The book that sheds new light on reincarnation and the extraordinary healing potential of past life and hypnotic regression therapy, from the bestselling author of Many Lives, Many Masters. Brian Weiss made headlines with his groundbreaking research on past life therapy in Many Lives, Many Masters. 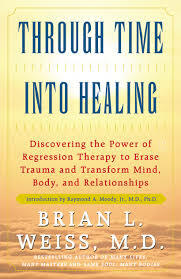 Now, based on his extensive clinical experience, he builds on time-tested techniques of psychotherapy, revealing how regression to past lifetimes provides the necessary breakthrough to healing mind, body, and soul. Using vivid past life case studies, Dr. Weiss shows how regression therapy can heal grief, create more loving relationships, uncover hidden talents, and ultimately shows how near death and out of body experiences help confirm the existence of past lives. Dr. Weiss includes his own professional hypnosis, dream recall, meditation, and journaling techniques for safe past life recall at home.